The Tampa Bay Hotel was just one example of Henry B. Plant's influence over the East Coast of Florida. At the Bellevue-Biltmore Hotel, we uncover further information about the growth of rural Tampa. Henry B. Plant’s influence in the hotel business extended beyond the Tampa Bay Hotel. 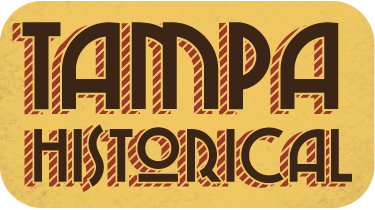 Although the site of his Tampa endeavor now holds a museum of his namesake, Plant actually built or bought eight distinct hotels in the Tampa area and further south. His intent was to spread his name and railway system all along the Western coast of Florida, while his friendly rival Henry Flagler did the same on the East coast. One of the hotels that Plant built was the Belleview-Biltmore Hotel, located in Belleair, Florida. This was the longest-running of Henry B. Plant’s hotels, and operated until 2009. It was designed in the Queen Anne shingle style, and was often noted for its unique architectural features. While not “foreign” in the same way as the Tampa Bay Hotel, it was a true marvel to surrounding rural Floridians. The building featured a white wood interior and a sloping green roof, and was constructed of native Florida pine wood, making it the largest occupied wooden structure in the world at the time. Guests standing outside the hotel and in the surrounding gardens had a view of Clearwater Bay. Henry B. Plant opened the hotel for business on January 15th, 1897. As mentioned, it was part of an effort to expand the reach and business to his Plant System railroad lines. The Pinellas Special, a set of two trains, were frequent visitors to the Belleview-Biltmore Hotel. Like the Tampa Bay Hotel, Plant designed the location of his line and of the hotel so that guests could almost walk right off the train and directly into their rooms. This added to the luxury and experience of his guests, who would later write home about the ease which the Plant System brought to their travels. These trains could travel from distances as far as New York all the way down to the hotel’s property. Henry B. Plant died in 1899, but his influence on the Tampa Bay region continued after his death. The Belleview Hotel was purchased in 1920 by one John McEntee Bowman, and was renamed the Belleview-Biltmore Hotel. The Hotel served as an important base during the Second World War, when men stationed at MacDill Air Force Base sought lodging. Given the expansiveness of the 400,000 square foot hotel, it fit the soldier’s needs just as the Tampa Bay Hotel had during the Spanish-American War. The hotel fell into disrepair in later years, with ownership frequently changing hands and the actual hotel falling into various states of need. Eventually, talks came about to demolish the building entirely and to create new condominiums, but public outcry prevented the easy path this plan originally followed. New interested partners came along and promised the preservation of the then 110-year-old hotel, but still this was met with difficulties. 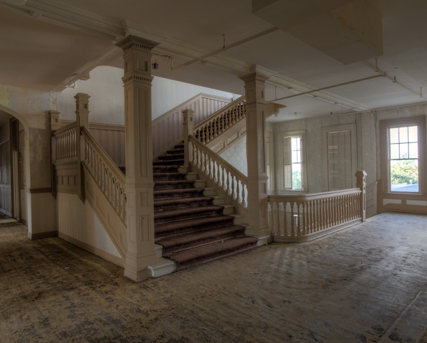 The hotel closed for these preservation efforts in 2009, and immediately faced backlash from neighboring residents who objected to certain pieces of the renovation plans. After additional changing of hands, it was determined that the hotel would be demolished save the West Wing, which would be preserved as a boutique hotel and which would include a novelty gift shop that incorporated pieces of the original hotel. The Belleview-Biltmore Hotel has lived a long and complicated history, from its recognition as a National Registered Historic Landmark from 1979-2017 to its visits from a variety of famous names, including people ranging from Bob Dylan to Barack Obama to Margaret Thatcher to Thomas Edison. If nothing else, it is a testament to the lasting impact of one of Florida’s founders on our West coast, and to the power of the people in the preservation of public history. Arianna Martinez, “Belleview-Biltmore Hotel,” Tampa Historical, accessed April 20, 2019, http://tampahistorical.org/items/show/80. 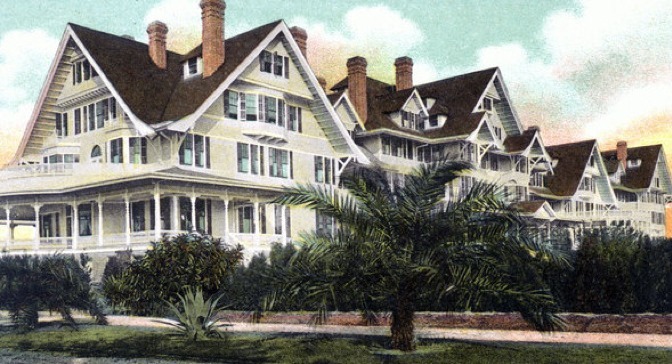 The Tampa Bay Hotel was just one example of Henry B. Plant's spread over the east coast of Florida. "Part 1: The History." Belleview Inn. Accessed November 15, 2018. https://www.thebelleviewinn.com/the-belleview-story/the-history/who-is-henry-b-plant/. 2. "Part 1: The History." Belleview Inn. Accessed November 15, 2018. https://www.thebelleviewinn.com/the-belleview-story/the-history/the-historic-hotel/. 3. "Belleview Biltmore One of Five Biggest Preservation Losses on National List." Tampa Bay, Florida News. December 23, 2015. Accessed November 15, 2018. https://www.tampabay.com/news/growth/belleview-biltmore-one-of-five-biggest-preservation-losses-on-national-list/2258724. 4. FOX13news. "Parts of Demolished Belleview Biltmore Will Live on." FOX13news. Accessed November 15, 2018. http://www.fox13news.com/news/local-news/parts-of-demolished-belleview-biltmore-will-live-on.